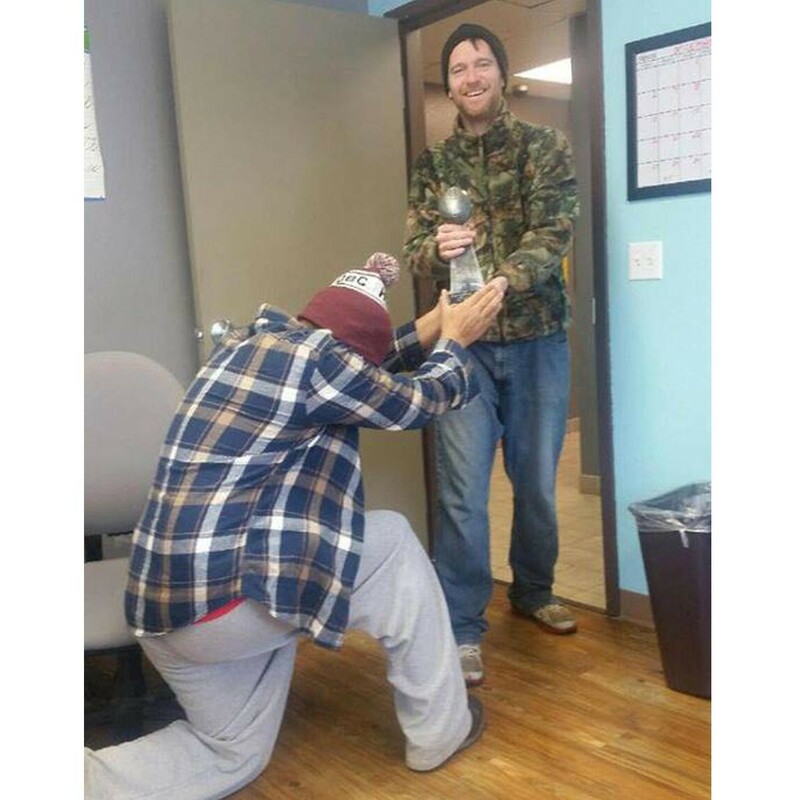 Make this eye-catching award the envy of your entire team! The Championship Replica Fantasy Football Trophy features an antique silver-tone football atop a tall support piece. 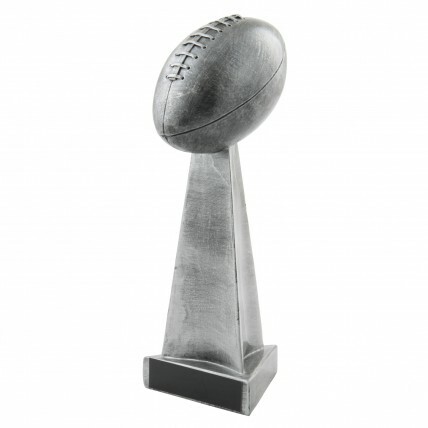 This 12 inch Lombardi-like award trophy will go down in your team history! 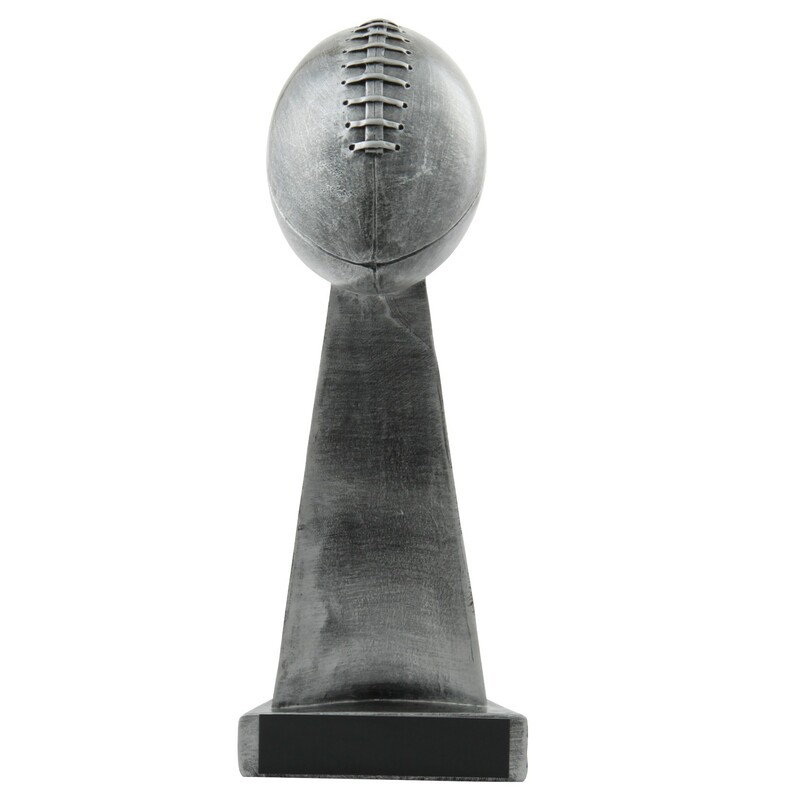 With 3 lines of FREE engraving included, personalize this epic trophy with your champion's name!